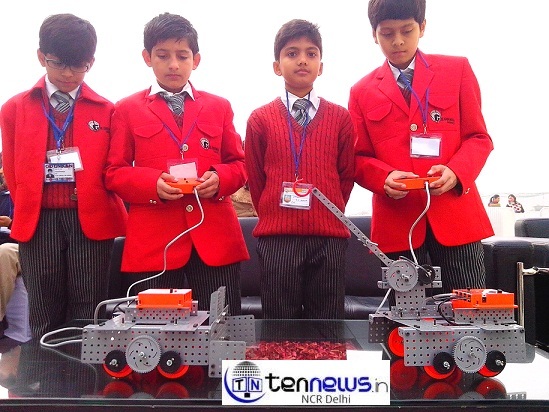 Inter school robotic challenge was held here in GD Goenka public school greater noida. 9 teams from Different school participated in the event. The goal of the event was to create interest in science & mathematics among todays school going children by exposing them to technology & engineering. Students from Each team was divided into 4 students to create a wireless robot which can correctly solve a problem. This year problem assigned was Mission uttrakhand means how robots will help humans in case of disaster management. Building blocks an experiential learning organization of New delhi partnered with the school to conduct this event. Robots were designed from the Robotronics kits provided by building blocks. 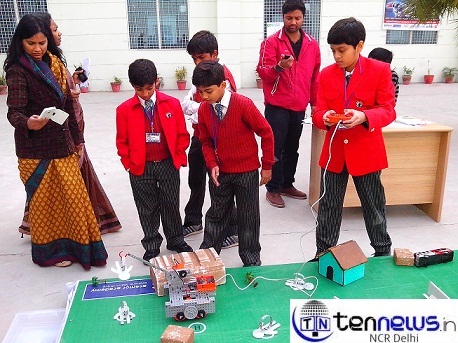 School principal neetu kapoor said this kind practical & technological experience helps students to learn better & makes them understand how electrical things can be made to work in different scenarios and help in accelerating search opertins in times of a calamity or natural disaster. The winner of the event was GD Goenka public school greater noida. GD Goenka greater noida was the winner of the event in middle level, katha public school in senior level & shiv nadir school Gurgoan in Junior level of the championship.